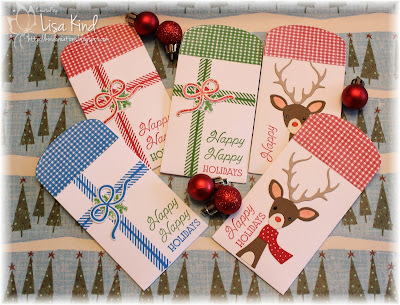 Merry Christmas crafty friends! I hope this day finds you happy and healthy and enjoying time with loved ones! I'm stopping in with some things I've done for the holidays. I hadn't colored in a long time, and this was so relaxing to do. I made four of these and just sat on the couch one day when I was under the weather and watched football and colored. 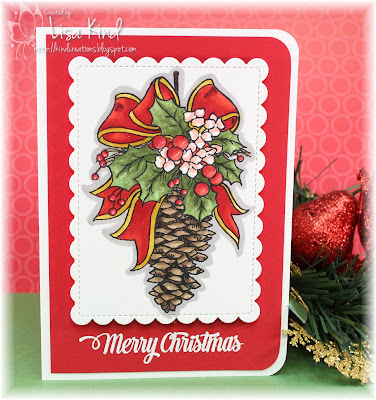 I used a scalloped and stitched die to cut it out, mounted it on red cardstock, and embossed the greeting. 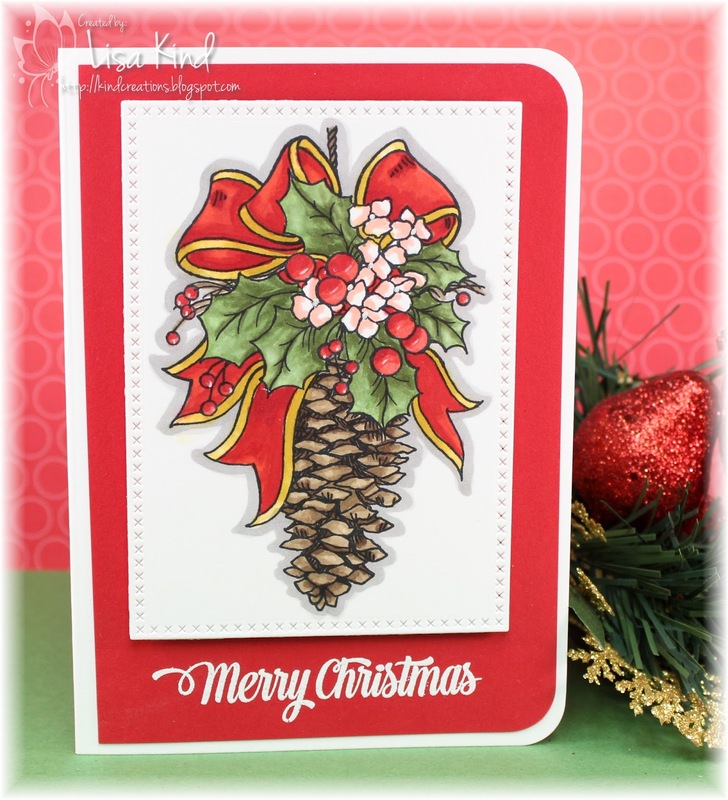 I did the same with this, but used a cross-stitch die to cut it out. 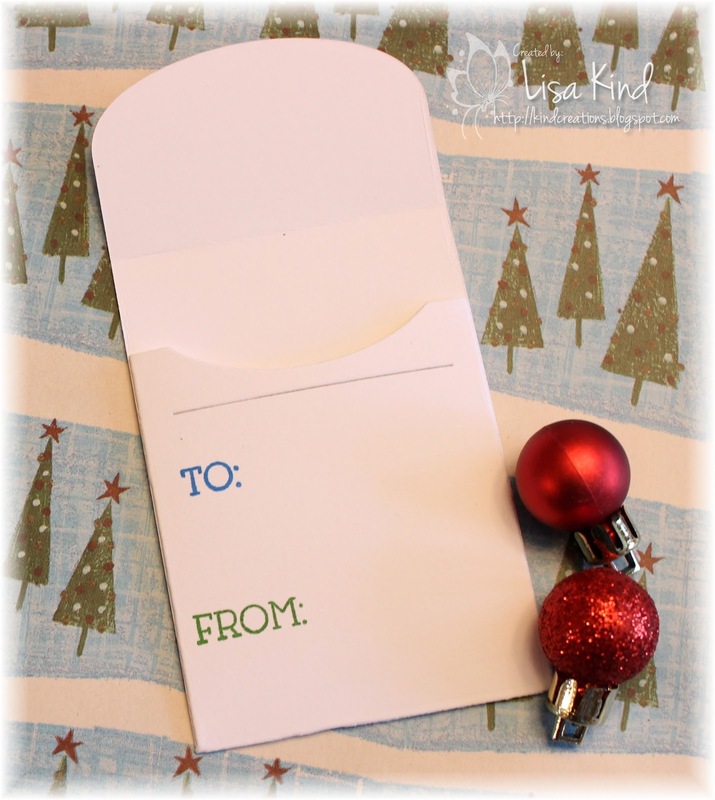 Here's the back of the gift card holder. I did make multiples of another card, but forgot to take a picture of it before I sent it in the mail! Hi everyone! 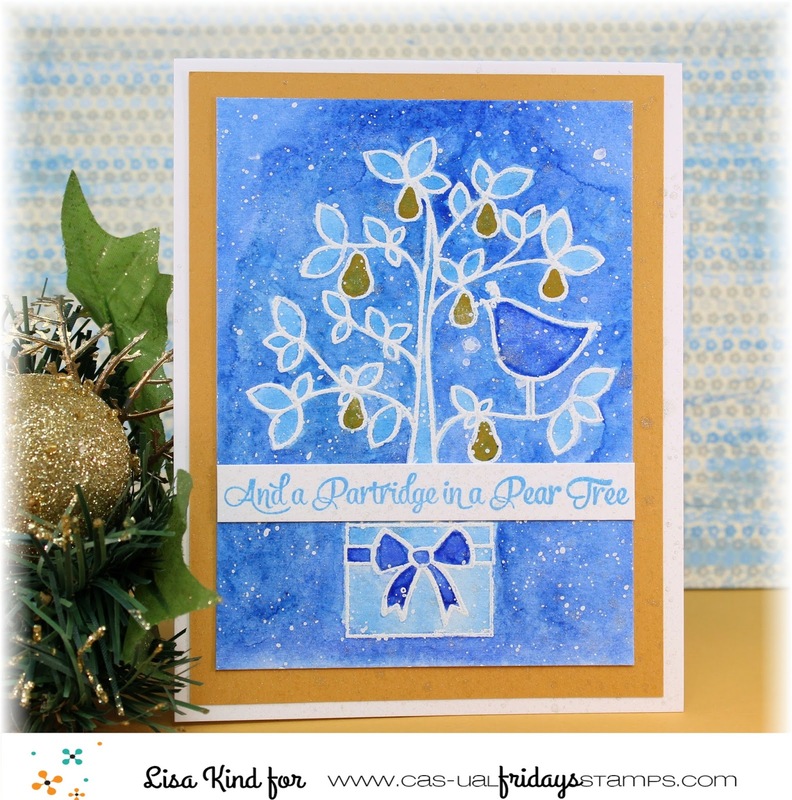 The challenge this time around at CAS-ual Fridays is "Dreaming of a White Christmas". This is my last post as a design team member. I'd like to thank the CAS-ual Fridays team for having me these last six months! I needed some tags so I pulled out the scallop tag dies and on the larger one, stamped and embossed the "falalalalala" stamp on the entire tag (it's hard to capture in the photo). 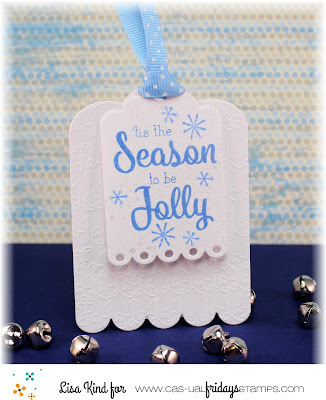 Then I die cut the smaller tag and stamped the sentiment and some snowflakes on it. I sprayed that small tag with shimmer spritz. I tied the two together with some dotted ribbon and was done! I made a few of these to add to my tag stash. Hi friends! This photo is from the Time Out challenge and I'm in love with it! So much inspiration to take away from it. Wait 'til you see what the design team created! I loved the white deer silhouette on that piece of wood when I first saw this photo. 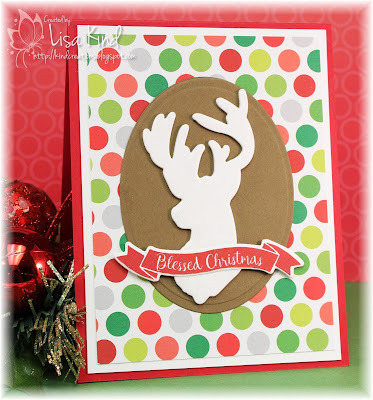 I knew I had a stamp/die of a deer similar to it. So I die cut it from white cardstock four times and stacked it. Then I mounted it on an oval die cut from soft suede cardstock. I debated my next step which was choosing some pattern paper. I went back and forth with this one and a more "subdued" one. In the end, I went with this because the patterns in the photo are so vibrant. I'm glad I did! I added some Spectrum Noir shimmer to the deer. The banner was stamped in red and then die cut. I like the way it looks across the deer. 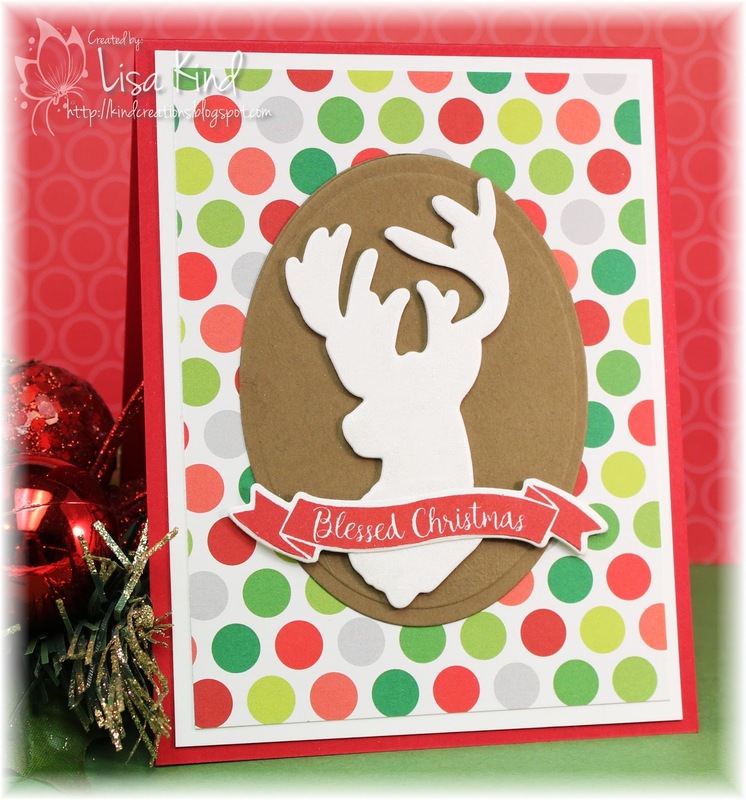 You can see more from the design team and our guest for this challenge, Sarah, on the Time Out blog. Hi friends! 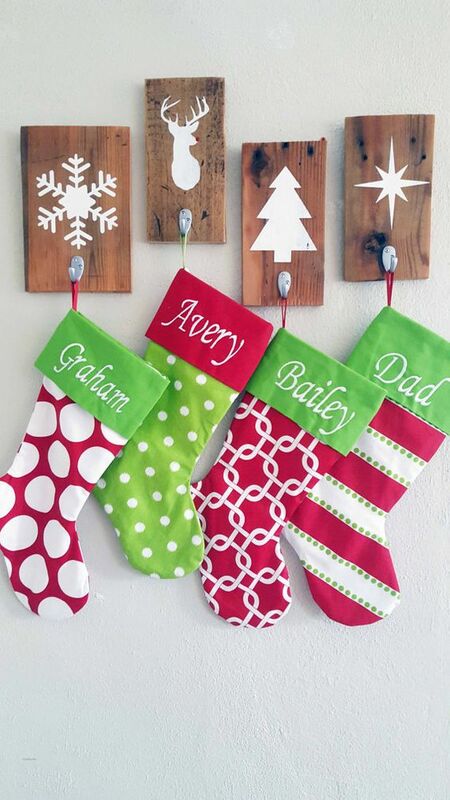 Can you believe it's December 1st already? 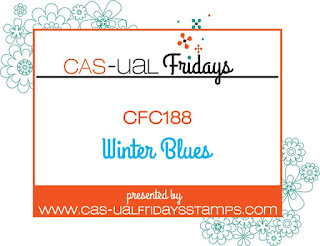 Those holidays are just around the corner, and the CAS-ual Fridays challenge is Winter Blues. I wanted to try some watercolor resist. Not sure I'm I love with this card, but I'm posting it anyway. I started by embossing this lovely image onto watercolor paper with white embossing powder. Then I used a lighter blue paint to color in the entire panel. Then I went in with a darker blue and painted the bird and bow (I see I missed a piece of the bow...just noticing that now!). Then I took some yellow paint and painted the pears. I originally had the sentiment embossed on the bottom of the panel, but it didn't show up well. So I cut the panel down and stamped the sentiment in some blue ink on white cardstock, cut it into a strip, and adhered it to the panel. I spattered it with white copic paint. It's mounted on a mustard panel to match the pears. I also spritzed the entire panel with shimmer spritz too!